Optimized app for AndroidTV, tested on the ADT-1 box. Added overscan border on AndroidTV devices. Added hints to the emulator and key mapping dialog. Fixed crashes on devices with no web browser (e.g. ADT-1). Press BACK on gamepad to exit emulation. Press MODE or BUTTON_A+BACK to open menu. Press BUTTON_X if you have no SELECT button. Press BUTTON_Y if you have no START button. Xperia CIRCLE button now acts as BUTTON_B. Press same key twice to remove it from assignments. Press same key three times to confirm key mappings. DPAD_CENTER key no longer confirms key mappings. - Added optional floating action button that starts the last played game. - Tested on ADT-1 and optimized for AndroidTV, adding overscan border. - Redesigned key mapping dialog. - Press same key twice to remove mapping, three times to confirm dialog. - Enabled gamepad-only mode in emulator and File Selector. - Press BACK on gamepad to exit emulation. - Press MODE or A+BACK to open menu. - Press L1/R1/X for MSX SHIFT/GRAPH/CONTROL keys. - Fixed downloads from World Of Spectrum. - Virtual keyboard can be used without touchscreen. - Added optional action button that starts the last played game. - Added overscan border on AndoidTV. - In key mapping dialog, press same key twice to remove, three times to confirm. - Enabled gamepad-only mode for emulation and File Selector. - Press BACK to exit, MODE or A+BACK to open menu. - Press A/L1/R1/B/X/Y for FIRE/CSHIFT/ENTER/SPACE/SSHIFT/KEYS. - emulation paused while menu is opened. - added auto PAL detection. - Removed waveform interpolation for better sound. - Optimized app for AndroidT (ADT-1). - Added overscan border on AndroidTV devices. - Enabled gamepad-only emulation interface. - Press BACK on gamepad to exit, MODE or A+BACK to open menu. - Press X/Y if you have no SELECT/START buttons. - Xperia CIRCLE button now acts as BUTTON_B. - Press same key twice to remove assignment, three times to confirm dialog. - DPAD_CENTER key no longer confirms key mappings. Publisher Sega has said that a number of iOS and Android games that “no longer meet its standards” will be pulled from sale in the coming weeks. What hasn’t yet been revealed, however, is which games could be in for the chop. “At Sega we are committed to making fun, high-quality mobile games and it is with our fans’ best playing experience in mind that we announce the removal of a number of games from our back catalogue,” it said. The publisher added that some of the games could return “given the right situation”. Those who have already purchased any games that are pulled will still be able to download them via their purchase history. 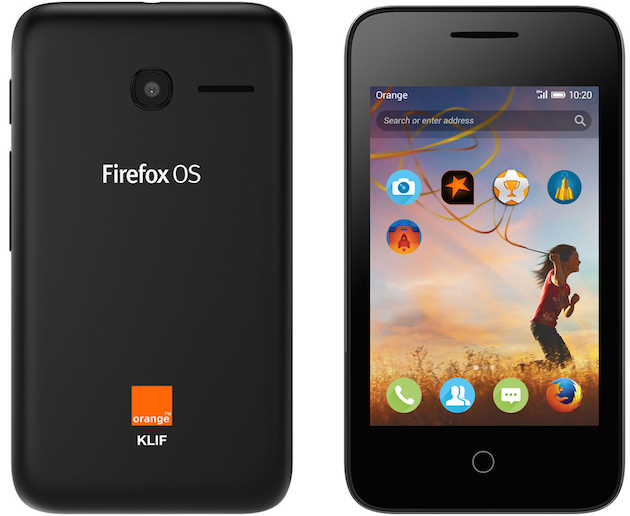 Firefox OS might be in a distant fourth place (or further?) here domestically, but Mozilla sees plenty of value for it in emerging countries. Specifically? Senegal and Madagascar in Africa, where it recently partnered with French telecom Orange to launch the KLIF. And no, you aren't wrong, it's neither a flip-phone or a slider. Nor is it transparent. A Mozilla blog post says that the main idea with this 3G smartphone is to get more people online in places where they previously couldn't. It's the web outfit following through on a promise it made back at Mobile World Congress in Spain, and the Middle East is where we'll see the initiative pop up next. 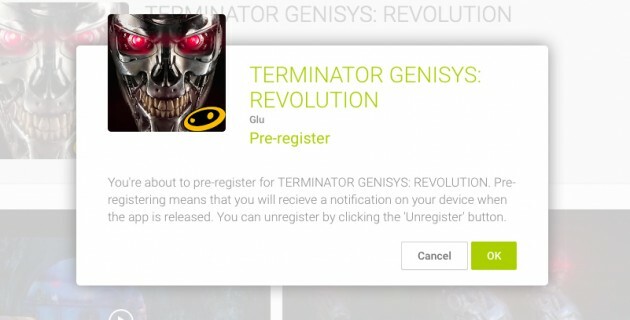 Starting with Glu's Terminator Genisys: Revolution mobile game, you can now pre-register for apps from the Play store. Now if a developer wants to drum up some interest before an app release, they can stick a placeholder page in the store where users can sign up and receive an alert on their phone when the app is actually released. This is obviously handy for users, but it can also help devs gauge interest in their apps before they're released. 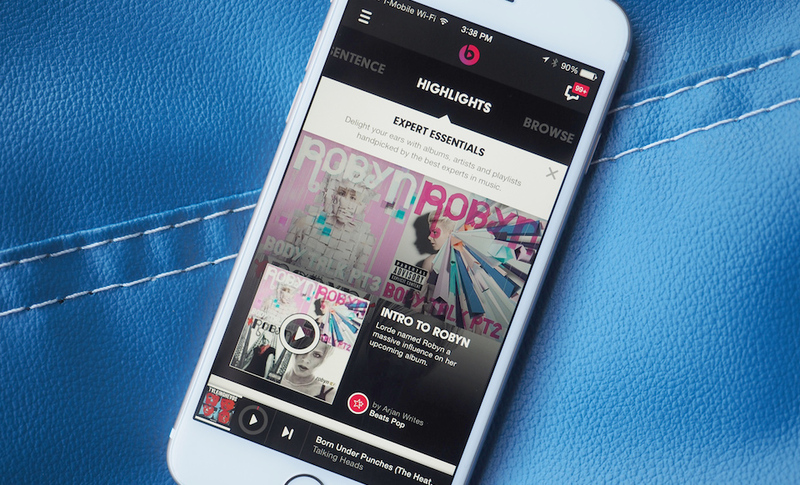 It's no secret that Apple plans on revealing a new streaming music service -- thanks to its Beats Music acquisition -- some time this year, supposedly at its annual developer conference in June. What has so far been a secret, however, is whether or not that service will be free or paid. While it's been widely reported that Apple plans on charging $8 a month for a subscription, it now appears that the folks in Cupertino could be planning on integrating a free option or two as well. According to ReCode's industry sources, those options include a free trial period of one to three months, a SoundCloud-type service where artists could upload free tunes for non-subscribers, and a new version of iTunes Radio that would feature human-curated playlists similar to, of course, Beats Music. An editorial at Tom's Hardware makes the case that Google's Android fragmentation problem has gotten too big to ignore any longer. Android 5.0 Lollipop and its successor 5.1 have seen very low adoption rates — 9.0% and 0.7% respectively. Almost 40% of users are still on KitKat. 6% lag far behind on Gingerbread and Froyo. The article points out that even Microsoft is now making efforts to both streamline Windows upgrades and adapt Android (and iOS) apps to run on Windows. If Google doesn't adapt, "it risks having users (slowly but surely) switch to more secure platforms that do give them updates in a timely manner. And if users want those platforms, OEMs will have no choice but to switch to them too, leaving Google with less and less Android adoption." The author also says OEMs and carriers can no longer be trusted to handle operating system updates, because they've proven themselves quite incapable of doing so in a reasonable manner. Bloomberg reports that the U.S. Federal Trade Commission is probing Apple after its acquisition of Beats Electronics, and its various deals with record labels to sell music through the iTunes store. As part of the acquisition, Apple now owns the music streaming service created by Beats, and they're planning to release a new version sometime soon. This makes their ties to the record labels, already deep because of iTunes, even stronger — and could affect the labels' relationships with other streaming services, like Spotify. Investigators want to know if Apple is using these business deals as leverage for "curtailing ad-supported music and pushing more songs into paid tiers of service at higher rates." An anonymous reader writes with news that Mark Shuttleworth plans to have a Ubuntu smartphone that can be used as a PC out sometime this year. "Despite the recent announcement that Windows 10 phones will be able to be used as PCs when connected to an external monitor, Ubuntu—the first operating system to toy with the idea—hasn't conceded the smartphone-PC convergence race to Microsoft just yet. 'While I enjoy the race, I also like to win,' Ubuntu Foundation founder Mark Shuttleworth said during a Ubuntu Online Summit keynote, before announcing that Canonical will partner with a hardware manufacturer to release a Ubuntu Phone with smartphone-PC convergence features this year. 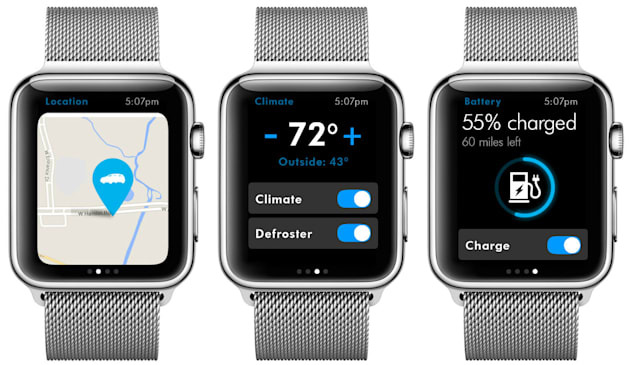 Volkswagen America announced Tuesday that its Car-Net app is coming to the Apple Watch and will allow drivers to remotely interact with their cars using it. The Car-Net platform is VW's driver safety and fuel efficiency suite. It offers features like automatic crash emergency response notifications, remote vehicle access and "health updates" on wearing parts like brake pads -- all delivered through the Car-Net mobile app. Now, instead of fishing for their phones in pockets and purses, drivers of many 2014 and newer VW vehicles worldwide will simply have to look at their wrists to know how their cars are doing. 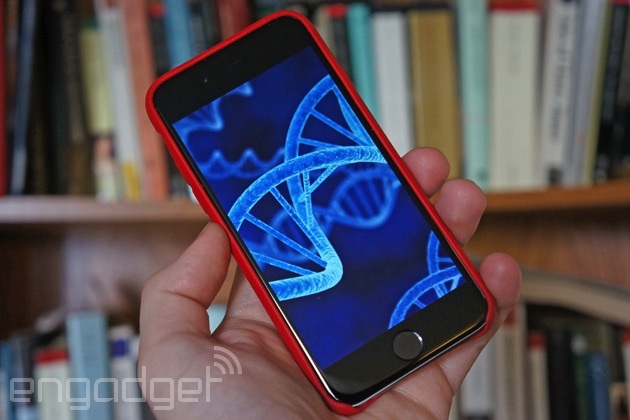 When you make a mobile app, you usually have to find out the hard way what will sell. You can't fiddle with pricing for just a few people, for instance. 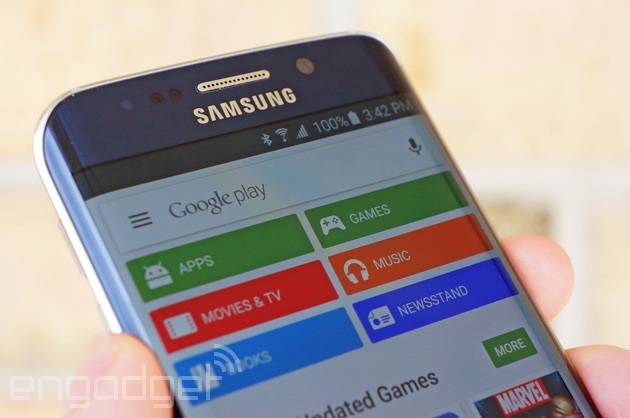 All that could change very shortly in the Android world, however. Sources for The Information claim that Google is introducing a feature that lets Android developers try different versions of the same Google Play Store page. You could not only see different previews of the app, but different pricing -- the creator could charge you $2 for that hot new game, but ask $3 from others to see if they'll accept higher pricing. Google Maps' Play listing doesn't quite elaborate on what's new with the latest version, but the update's definitely more than just a bunch of bug fixes. Android Policehas discovered that the app can now mine your Gmail account for info whenever you search for these particular key phrases: my events, my flights, my reservations and my hotels. "My events" will list your Calendar entries, while the others are pretty self-explanatory. Unfortunately, these key phrases only work for the Android version of Maps at the moment -- the good news is that they're not exclusive to Mountain View's navigation service. 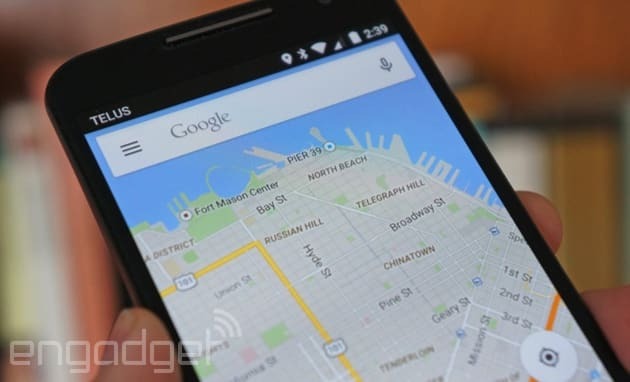 You can actually type those key phrases or use them as voice commands on Google search or on Google Now. So long as you're logged into your account on a browser or a relevant app, they'll work perfectly whatever your device or platform is. When Samsung unveiled the Galaxy S6, you might have noticed that the company stopped touting its in-house ISOCELL camera tech. Was it relying on someone else's sensor instead? As it turns out, the answer is yes... sort of. 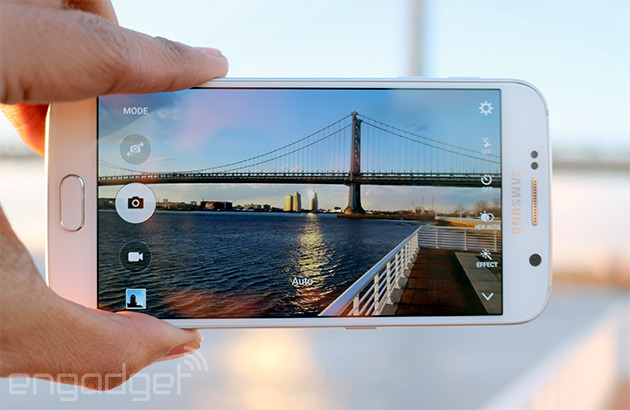 The Korean firm has confirmed owners' discoveries that the rear sensor is alternately made by Samsung or Sony. There are "several different vendors" making S6 cameras, a spokesperson says, although there's no mention of how Samsung distributes those components. Not that you'll need to be worried, apparently. The company insists that they all meet "strict global quality and performance standards," and SamMobile has conducted testsshowing that the practical differences are slight. In short, you'll likely get quality photos regardless of whose imaging hardware is under the hood.